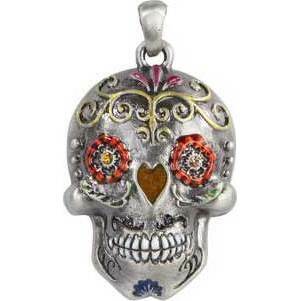 This is a splendid Day of the Dead skull pendant modeled after the Calavera skulls, Has 18" chain. Fine Pewter, Variously Colored Manmade Gemstones. 1 1/4" x 3/4"